Avengers: Infinity War spoiler free review: Funny, huge, and hopeless – AiPT! Avengers: Infinity War is the kind of movie that shouldn’t work, but it does. So many superhero films have failed before because they tried to jam-pack too many characters into a single film. And the Marvel Cinematic Universe has a lot of characters that are interconnected. It could be said the more Marvel movies you see, the more you can enjoy the entire film universe. From a reoccurring joke Rocket always lands to the spirit of Captain America fighting back no matter the odds, the history we’ve had with these characters on the screen is strong and why it all comes together. The scope of this film is huge, nearly bursting at times, cutting to and from multiple locations and battles; this makes it almost impossible to be bored watching Infinity War, as there’s always a character to check in on or a quest for Thanos to move onto. Directors Anthony Russo and Joe Russo do a good job clustering their heroes so it’s easy to track what is going on and what needs to be done. This lessens some of character work there could have been in the film, but really this film is about dynamics between characters more than anything else. It’s fun to see the new character dynamics even if it’s a bit overstuffed with characters. One of the more fun dynamics is between Tony Stark and Doctor Strange and their clashing egos in the opening minutes of the film. These characters don’t change much by the end of the film, but their respect for each other does. Another combo that probably nobody saw coming was Thor and Rocket, who have a mutual respect in part because Thor has respect for everyone if they’re courageous and willing to listen to his plans. There are certainly some characters who get less screen time due to the insane amount of characters that share the screen, but every character gets at least one good punch or one-liner in at the least. The Russo brothers have already gone on record saying this is Thanos’ movie and they’re very much right. He’s the only character that goes on an emotional journey from beginning to end. Most of the other characters are simply reacting to an attack or planning one, but Thanos is actually trying to achieve something. Screenwriters Stephen McFeely and Christopher Markus do the remarkable job of making Thanos somehow likable. He gives every character respect if they deserve it, and you can’t fault the guy for his plan even if he’s insane for thinking it’s right. Some heavy hitters die in this movie and yet you won’t be angry at Thanos so much as you want him to lose. Speaking of Thanos, his main soldiers of the Black Order are an intriguing element even though they are partly or full CGI. These characters are done well enough to warrant respect but don’t eat up valuable screen time with character development or back stories. They are loyal to Thanos and not much more is needed. 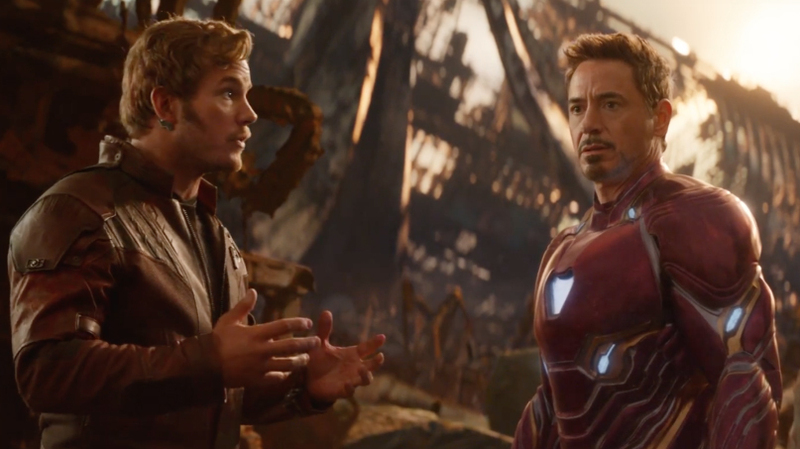 The Russo brothers should be commended for doing just enough to make these characters worthy of fighting our favorite Avengers but never used so much that you wanted them off-screen. The CGI used to create them is sometimes noticeable, but for the most part never distracting. Thor comes out of this film with the strongest arc of all the heroes. If fans were looking for another main character they might be happy to note Thor has the strongest arc of any other hero. Many of these characters are midway through or starting an arc of their own, but Thor goes full circle right to the very end of this film. That’s a big win considering how strong he was in Thor: Ragnarok, but it also gives the heroes a win in his arc feeling somewhat complete by the end of the film. He also has some of the funniest lines in the film. This movie is way more humorous than you might expect. Given how serious the last two Russo brother directed Marvel movies are I wasn’t expecting so many jokes. 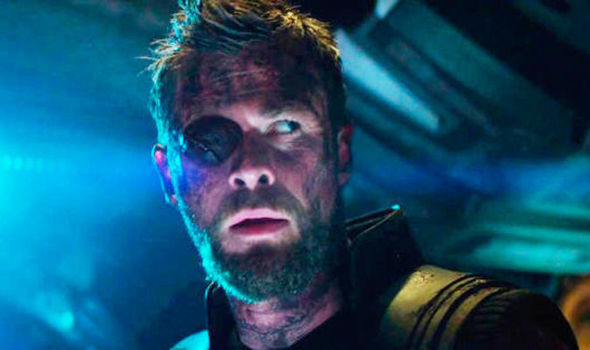 There’s practically a joke in every scene minus the last 15 or so minutes which should suit most fans who loved Thor Ragnarok and the Guardians of the Galaxy movies. Given how comical most of these characters are, and how they’re being forced to interact, it’s nice to see the humor kicked up a notch. A major theme that runs through this film and is repeated over and over is how these characters need to work together. The Russo brothers do a good job of showing us how the heroes succeed as a team and fail when they act alone. You see it in the very first conflict all the way to the very end which will resonate with fans who watch this and the next film back to back. Surely this film is a lesson stressing that egos need to be put aside and powers must combine to beat the greatest force in the universe: Thanos. This is a nice way to set up the next film, but also a reminder this is a team movie and not any one hero’s film. As I mentioned above the movie is somewhat bloated, running two hours and 40 minutes and it shows with some of the pacing. Let’s just say some characters enter the film rather late and then go missing for long bouts here and there. You’re never bored because there are so many threads, but the pace is a bit wonky when you get random check-ins or developments of the Black Order after lengthy bits with Thanos or Thor. Another element that seems lacking is Captain America who doesn’t have very many lines or much to do. He’s somewhat sullen and comes off as an outsider in this film, which makes sense given he went into hiding after Captain America: Civil War, but still? That’s it? I suspect he’ll play a huge part in the next Avengers film, but here he’s more of a bystander, which is a disappointment. Once this film ends you’ll have a good idea of where Marvel is going and how it might finish in the second part of this massive epic. Comic readers will probably anticipate the ending, but let’s just say there’s a whole lot of sorrow at the end of this film. That’s a good thing, but it will assuredly leave many moviegoers in shock. That makes this a great setup film for the next one, but as it stands there’s a lot to mull over and accept when the end credits finally finish. It’s safe to say this film ends in a way much like Back to the Future II as it was always intended to set up the next film. That makes this a good film, but not great because we’ll need the second part to fulfill the journey. Thankfully this journey is one that’s filled with laughs and epic moments that you’ll hold dear as we await one of the greatest finales of all time. It'll keep you entertained with a ton of laughs, action, and character interactions.